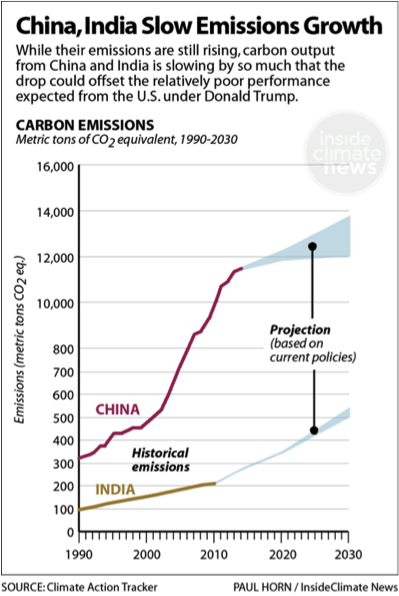 While Trump rolls back carbon emission controls, moving the U.S. away from reaching Paris Agreement targets, according to a new analysis by Climate Action Tracker, China and India look set to beat their goals. Both countries are cutting coal production and increasing renewable energy. China’s decision makes a big difference. 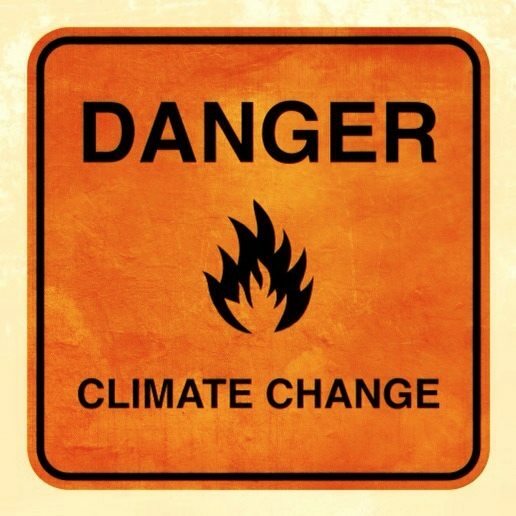 Cancellation of those plants, totaling 120 gigawatts of capacity, adds up to savings of about 750 million metric tons of carbon dioxide annually. That’s about equivalent to the amount that the United States cut its annual emissions from 2007 to 2015. India’s Paris climate pledge was to lower the emissions intensity of its GDP by 33 to 35 percent by 2030, below 2005 levels. Carbon Tracker projects that, with current policies, India will leap past that mark to a 42 to 45 percent cut in emissions intensity by 2030. “Five years ago, the idea of either China or India stopping—or even slowing—coal use was considered an insurmountable hurdle, as coal-fired power plants were thought by many to be necessary to satisfy the energy demands of these countries,” said Bill Hare, CEO of Climate Analytics, one of the research consortium members. The cuts in energy demand in China and India are significant because their economies are growing at 7 percent annually, significantly faster than the world average of 2.7 percent (and U.S. GDP growth of 2.6 percent), according to the World Bank. The White House website describes Trump’s climate plan this way.